Sleep More and Lose Weight? When it comes to weight loss, it's not as simple as calories in and calories out. That's not to say that calories in and out do not matter at all, just that it's not the whole story. For example, in my quest to lose weight (I lost 5 lbs so far and have kept it off for over a month). I started looking up how much calories particular activities and exercises burned and how many calories I need to burn to lose the weight that I want. I realized that if I just slept a little less I'd actually burn a little everyday without exercising and get more done in the day. This ended up being sooooo wrong by the way, luckily I never put that plan into action. Why? You guessed it hormones! You actually will lose more weight if you sleep more, because you will use less cortisol (the stress hormone that packs on weight by interfering with insulin production) and leptin (the hormone that tells you your full), increase ghrelin (the hormone that increases your appetite) levels and HGH human growth hormone which increases muscle mass and increases your metabolism. According to Web MD, Leptin and ghrelin work in a "checks and balances" system to control feelings of hunger and fullness, explains Michael Breus, PhD, a faculty member of the Atlanta School of Sleep Medicine and director of The Sleep Disorders Centers of Southeastern Lung Care in Atlanta. Ghrelin, which is produced in the GI tract, stimulates appetite, while leptin, produced in fat cells, sends a signal to the brain that you are full. So what's the connection to sleep? "When you don't get enough sleep, it drives leptin levels down, which means you don't feel as satisfied after you eat. Lack of sleep also causes ghrelin levels to increase, which means your appetite is stimulated, so you want more food," Breus tells WebMD. ABC news reported that the Mayo Clinic studied a group of 17 healthy volunteers between the ages 18 and 40 for a week in their homes, monitoring how much each one typically slept and ate. Then, they brought the volunteers into the clinic’s research lab for eight days: Half of the volunteers were allowed to sleep according to their usual pattern, and the other half got only two-thirds of their usual shut-eye. They were allowed to eat as much as they wanted. The sleep-deprived participants eat an average of 549 calories beyond their usual intake but burned no more calories than their well-rested peers. According to Huffington post, research indicates that a body deprived of sleep burns calories less effectively than a well-rested one. We know that the body burns more calories in REM sleep than at any other stage of sleep. 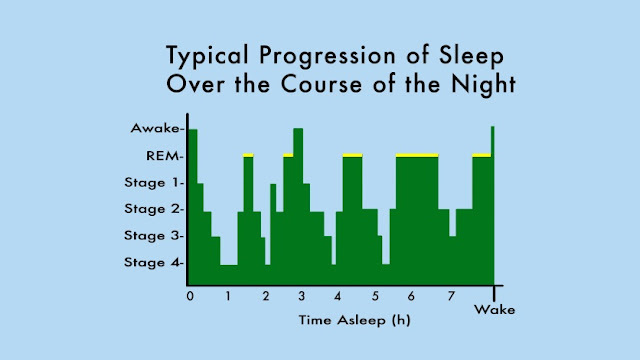 We experience longer periods of REM sleep as we move deeper into our sleep cycle over the course of a night. An short night of sleep cheats your body of the REM sleep that is prime calorie-burning time. Research also has shown that people who sleep less and still manage to lose weight will lose less actual fat. Getting eight to nine hours of sleep at night helps you lower the cortisol levels in your blood, while lack of sleep raises your cortisol levels. Higher levels of cortisol lead to a lower metabolism. Breaking protein down into glucose is stimulated by cortisol. If you have too much glucose in your body, it will get stored as fat. On top of this, cortisol effects your body’s ability to build muscle mass. Suzanne Summer's talked about how Cortisol secretion is promoted by the presence of even the tiniest bit of light, in her book "Breakthrough". Researchers did a study of one hundred subjects who were placed in a completely dark room with the exception of a pin point of light on the back of their knees. Cortisol levels rose in each subject as a result. I am currently adding a dark lining to my curtains to make our bedroom more dark. You make most of your HGH growth hormone in your sleep. Growth hormones stimulate cell regeneration, reproduction and growth. These hormones help you in building muscles. This is why higher levels of growth hormones means a heightened metabolism. With a higher metabolism, you burn energy much faster which leads to easier weight loss. While your body does create this throughout the day, you produce the most during night. As we age we make less HGH so we need to do whatever we can to increase it. The best way to do this is through getting good quality sleep and interval training, which involves alternating short bursts of high-intensity exercise with easy-does-it recovery. I've been making a point to at least be in bed a half an hour earlier and to turn off TV and computers an 1 1/2 before bed time. This has helped me to go to sleep earlier. 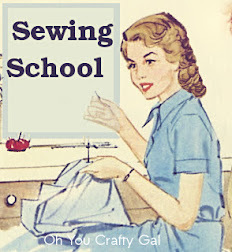 I am teaching and taking a class right now where I get home late which makes it difficult, but I have been going to bed earlier even on the weekends and I think it helps. Sleeping and resting more also helps to keep your Adrenal glands (Adrenal hormones) healthy, which well help keep all your hormones in good balance, which will also help you stay healthier and age slower. Pretty cool huh? Hey I'd rather sleep more than work out more! According to an article by Dr Mercola not getting enough sleep "is associated with an increase risk of insulin resistance." When we eat and our blood sugar rises our body makes insulin which helps to keep the sugar from our blood stream and safe from harming us by turning it into fat. Having too much insulin in our bodies causes our bodies all the time causes our body to need to produce more and more for our body to hear it. Below is a great short video that will blow your mind if you don't know about how insulin works in the body. I am not a doctor. I have ZERO medical training and NO formal nutritional training. The information provided on this site, such as text, graphics, images, is for informational purposes only. It is not to be construed as medical care or medical advice and is not a replacement for medical care given by physicians or trained medical personnel. Always seek the advice of your physician or other qualified healthcare provider(s) when experiencing symptoms or health problems, or before starting any new treatment.